All you ever hear when it comes to healthy living is “make sure you drink enough water”, but why? Here we will explain the benefits of staying hydrated, as after all, water makes up between 60-75% of your entire body weight. To tell if you are correctly hydrated, there is one very effective method, and that is to examine your urine color. 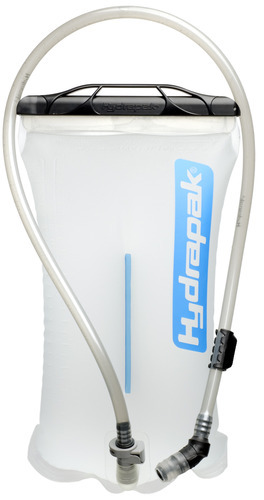 If you are hydrated to the right level, then your urine should be a straw-like pale yellow. If you are dehydrated then your urine color will be much darker (similar to apple juice), and may also have a strong odor. Your general appearance – with water making up such a large percentage of the human body, ensuring you have the right amount of water in there is crucial. Whilst drinking water won’t make you younger per se, it can help improve dry skin, cracked lips and even help prevent wrinkles. There are also dental benefits, as water is needed to create saliva which is known to help prevent tooth decay. Weight Loss – this will be the most effective fact to get people to drink more often. Research has shown that drinking more water as part of a low calorie diet yields better weight loss success when compared with those who don’t drink enough. The suggested reasoning behind this is that drinking water before and after meals can suppress your appetite, so you may be able to reduce your portions slightly; which in turn will help reduce your calorific intake. Also, for those looking to lose weight, drinking water has another way of helping: by replacing other drinks with water, you will be reducing your calorie intake. A 330ml can of Coca Cola contains around 140 calories and 33g of sugar. That is 7% of your recommended calorie intake and around 50-60% of your recommended sugar intake. Replacing this with water saves you the sugar and calories. Easy. Metabolism booster – closely linked to weight loss, drinking plenty of water helps speed up your metabolism, making your body more efficient at burning the calories that you eat, helping you feel more alert and energized. Reduced chance of injury – Water plays a vital role in keeping your joints nicely lubricated. Drinking enough water ensures they stay lubricated, which in turn will reduce the risk of injuries. Eat fruit and vegetables regularly (with every meal if possible) – this works well as they both contain a high water content, so you’ll be taking water on board without realizing it. Drink a glass before each meal – drinking a glass of water before each meal is easy to remember and provides some structure. Set reminders on your phone – reminding yourself every hour or so that you need to drink some water will help make sure your glass is full. Eventually you will get used to doing this and start drinking without being prompted. Keep water handy – always having a bottle of water nearby will increase the chance of drinking becoming a habit. This works the same way as when you have popcorn in the cinema; you eat it because it is there. There you have it, staying hydrated is important for so many reasons that should certainly motivate you to check your water intake and ensure you are fueling your body correctly. Even if all of the above reasons don’t appeal to you, some certainly will, so decide which are important to you and remind yourself of them to make sure you always stay hydrated.